To Mexico where Helena and Sarah are on the run from the Castor base and Helena is… Helena. It’s a Sestra holiday trip, though Helena realises that Sarah is upset about Paul. They’re also relying on S’s people to get them out which is going to be a problem because Helena intends to kill S. The bar tender also brings Helena water not beer because she knows she’s pregnant – though Helena doesn’t know how. Wondering can wait because S arrives which means Helena goes to killing mode. Killing is delayed for talking (explanations and threats anyway, sort of talking). Creepy bar tender also knows enough to take sharp objects off Helena. Can someone please pay attention to/explain this woman? Bar tender tells Sarah to leave Helena and S to talk it out (Helena will eat first, then they fight. Because Helena) being cryptic and wise and definitely creepy. Having eaten, Helena wants to fight. S refuses (citing Helena’s pregnancy with a brief diversion as to what Helena’s plans are) and Helena hits her. S responds that Helena can’t have Sarah without the rest of her family – and Helena hits her again. S appeals that they’re family. And Helena hits her again – this time S hits back then instantly regrets it, and hugs Helena. Helena struggles but S hugs her into submission while apologising. Shay and Cosima are enjoying some quality naked time when Delphine arrives. Awkward. Delphine and Shay are icy, Cosima and Delphine are snarly with a side of icy and Delphine tries to be uber professional (while Shay doesn’t reassure me that she’s not evil by eaves dropping from the shower). She wants to do more testing of Cosima because of the Leda/Castor defect/disease/nastiness and her last results which suggest Cosima is not yet out of the woods. Cosima also calls Scott so she can arrive late for work – despite him being worried about her illness as well, and wanting her to see if she can get Rachel to decode Ethan’s book (Rachel scares him. And rightly so) – and just to confirm the rift, Cosima insists Scott not show Delphine the book. Over to Allison, her plot lurking in the outer reaches of this show and still barely connected to everything – but this week free from underwear clad dancing. Allison is preparing her campaign, while doing so Donnie is still monitoring Allison for Dyad which is peculiar but at least with her knowledge. She’s as ever, super busy with campaigning and drug dealing and organising their legitimate front for the business. Step 1 of this is to see Connie, Allison’s mother, and convince her to sign over her shop. She wants to retire, she also makes several arch little knife-digs at both of them – she even has a campaign poster for Marci, Allison’s competition. Allison becomes much more understandable. And Felix joins her. Of course he does. The chances of Felix remotely caring about this election are less than none, but while Sarah’s in Mexico and Cosima’s got a date and Grace seems to be holding her own, it’s Allison’s turn with the Gay Best Friend. The set up the booth, Felix on side to be a good little servant and Marci drops in to be nasty in that oh-so-polite way. Then not-so-polite homophobia. There’s other dramas –like Cosima wanting Allison’s urine (add it to the to-do list) and Connie calling saying she’s having heart attack. Allison is unconcerned, apparently this is a habit of her mother’s but she still has to leave Felix in charge of her stall while she goes to sort her mother out. When she arrives at her mother’s she’s recovered from her panic attack – but she can’t sell the soap shop. After a big airing of a whole load of issues, Allison leaves. Speaking of – he and his friends are hitting maximum geekdom (I approve) when Delphine arrives being the most intimidating person in the room. Until Rachel follows her in. Scott is duly terrified of her when they prepare to do tests on her. She spots her painting that Scott took and Scott subtly shows her Ethan’s book. Rachel definitely wants in so fakes an interest in Scott’s board game. Back at the school, Cosima is not the best clone-pretending-to-be-a-clone because, apart from anything else, she can’t see without her glasses. Allison arrives in time for Jason to hand over the envelope and point out her envelope of signatures if about to be opened and reveal a big wadge of cash. Crisis! Time to call Felix (of course) who is busy managing Cosima’s photoshoot. Then her mother arrives – who absolutely has to speak to her right now to tell her that her father wasn’t actually her biological father. Allison tells Felix about the money and confused he finally says what I’ve wanted him to say for 3 seasons! “I quit!” Alas no. He grabs Cosima (who only came there for a urine sample! Never again will she enter Allison’s world) to make Allison’s speech since she is busy handing over the money to the dealers saving Donnie from having his nose cut off. Cosima’s speech isn’t exactly ideal for Allison, especially since she comes out as a Lesbian in front of the whole crowd as she’s talking about family values. She then starts choking because she IS actually ill and IS actually dying. At least the coughing fit gives Allison chance to tag in. Which means it’s Cosima Jason finds and kisses… Nope on many levels Jason. Afterwards Cosima and Allison recap as Cosima finally gets the urine sample from Allison. But Allison draws a line – she’s still reporting her health statistics to Donnie because they, the clones, need Dyad when it comes to their health and Cosima is clearly still sick. The great speech also convinced Allison’s mother to both vote for her – and sign over her shop. Of course she does so believing one day Allison will kick Donnie out. Allison is done so introduces her mother to Cosima (poor Cosima is up to her neck in Allison drama). So he can tell her mother that they’re clones and, no, Connie didn’t trick her dad at the IVF clinic, they were both tricked and she was implanted with a clone. This goes out the window because Connie declared Cosima “mulatto” based on her hair style. 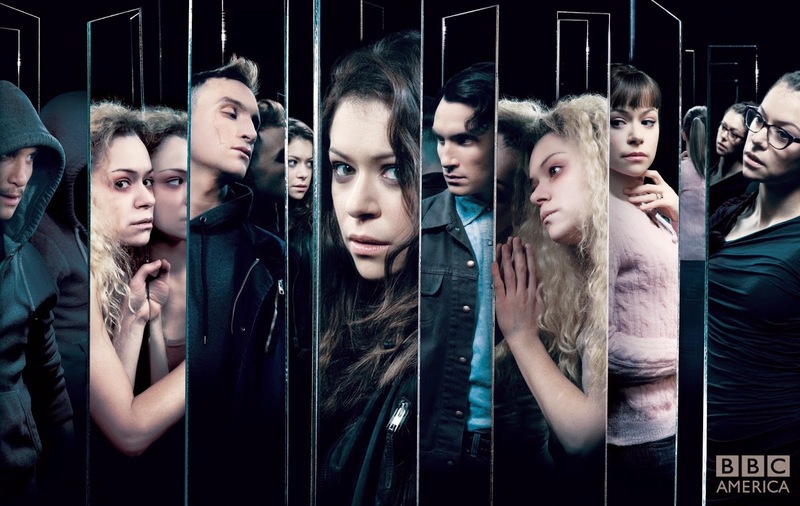 Orphan Black you have waaaaay too few POC to enter this realm. Instead Connie has decided that the IVF clinic gave multiple mothers the same donor. At home Cosima tells Shay that she’s sick – and begins bleeding profusely. Can we also not use the idea of terrible-person-says-terrible-things as some kind of challenge to the terribleness? It isn’t. It is interesting to learn that Donnie took Allison’s name. And while I think it was throwaway line to show how we’re not to like Connie, there’s a lot behind her both insisting Donnie taking Allison’s name – but then looking down on him for doing so, regarding it as a weakness that he didn’t fight her for a more “traditional” naming convention. On Cosima’s odd ad-lib – she’s making a speech about “family values” to a crowd where one person has already emphasised their conservativeness with a whole lot of homophobia. Even if she didn’t want to make a point, I can see why her mind went there. Felix… what more do I even have to say? Every episode of every season, if Felix appears it’s because he’s in service to one of the clones. I think they actually have a rota to see who gets the GBF this week – his whole portrayal is a terrible, mess of gay service tropes: because gay men don’t have lives, they’re accessories and side-kicks to women.